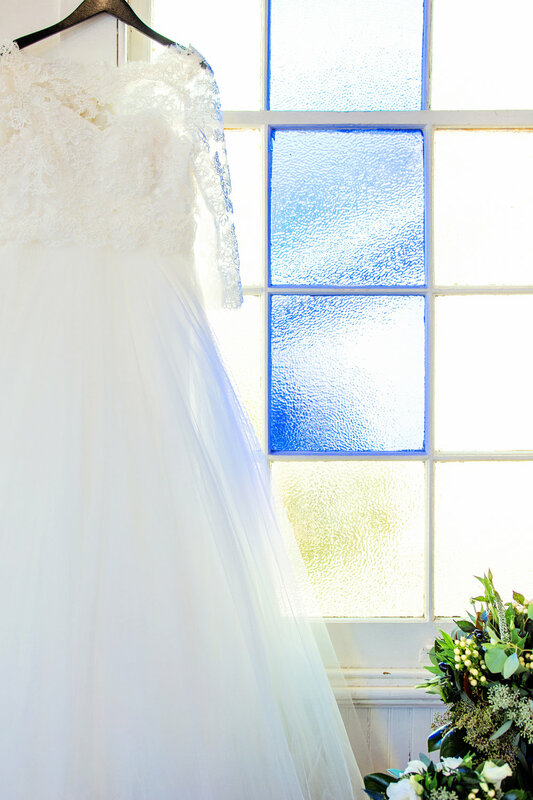 For those of you looking to add a little nostalgia to your wedding day; this 'Going to the Chapel' photo shoot will take you back in time. While mixing one-part classic with one-part modern, a style mix was created that was...oh so right! 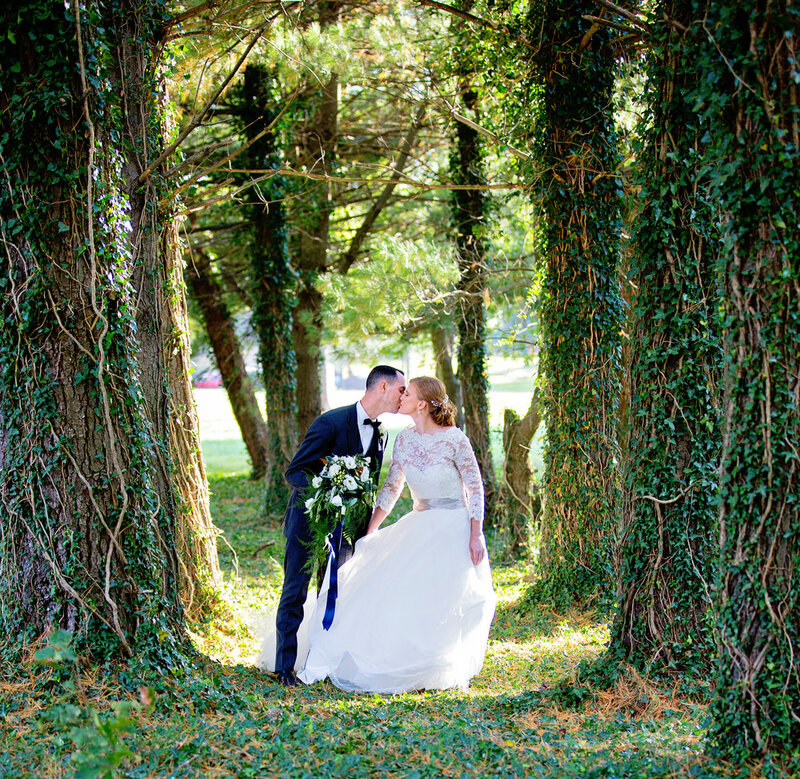 While many weddings are in fields, vineyards, the beach or a barn, we wanted to encourage those looking for a traditional church wedding to delight in embracing their faith, while still keeping the ceremony feeling welcoming and modern. 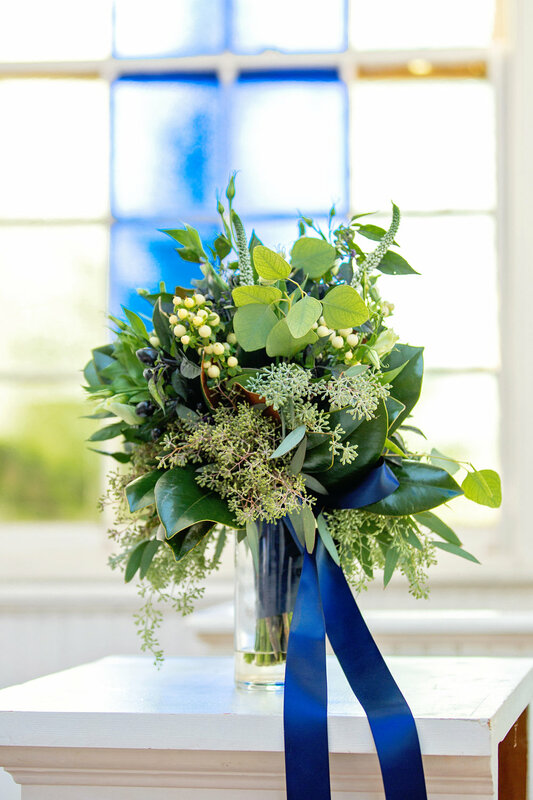 We loved the simple, quaint beauty of old Buckhall Methodist Church, making it the perfect venue for the overall look and feel. 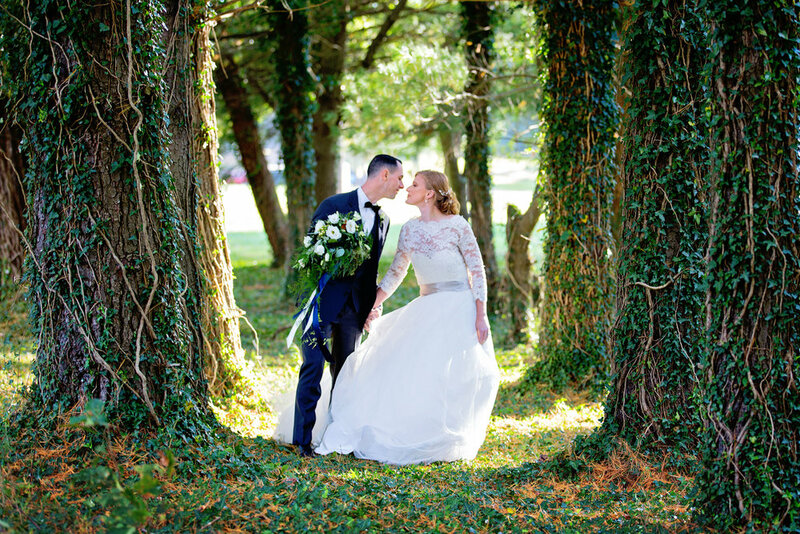 The bride wore a lovely Pheia dress, which was a perfect blend of something old and new. 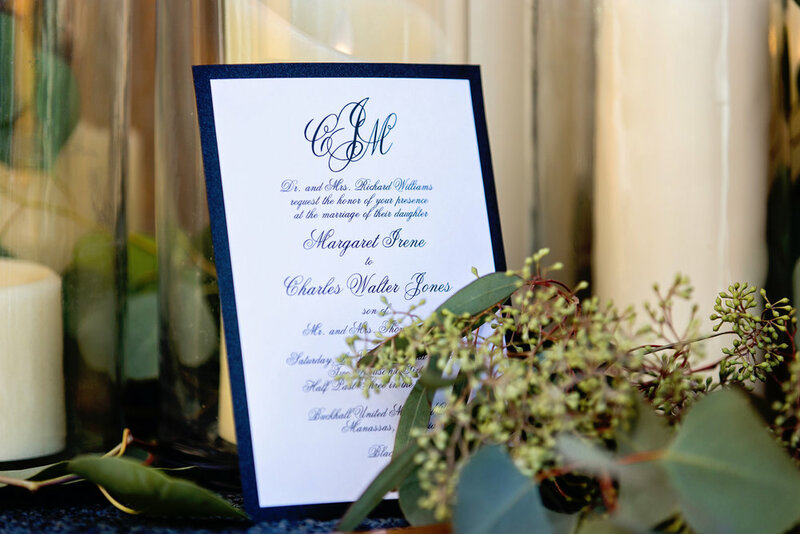 Romantic greenery with a mix of white stems and the unexpected black peppers communicated life and tradition but with a modern flare. 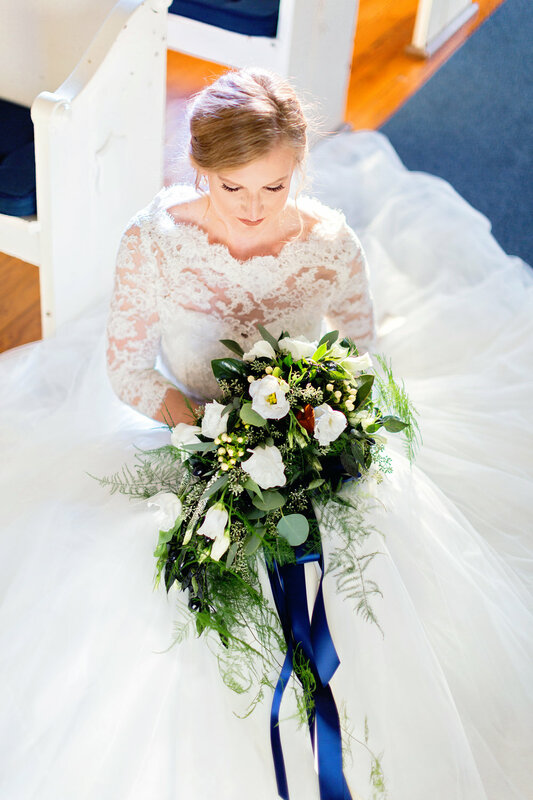 The bride's bouquet was design to be carried with the Bible underneath which is another tribute to tradition. 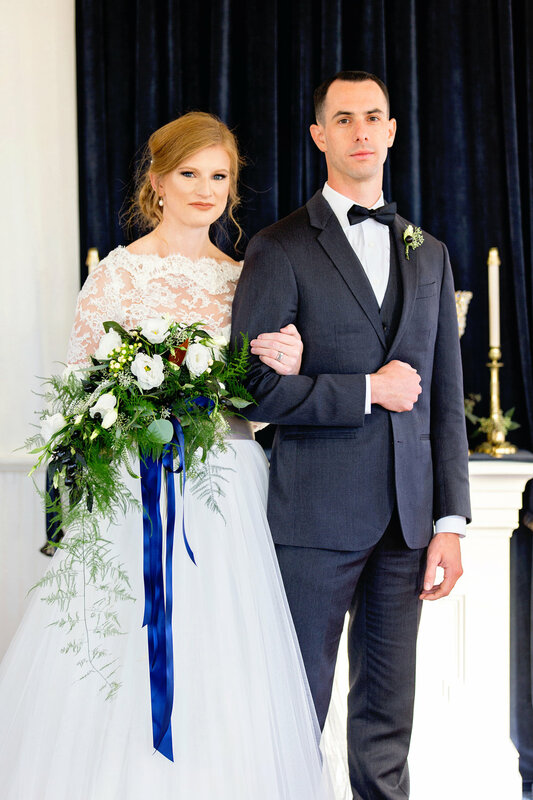 The handmade bridal jewelry brought the entire look together for our bride. 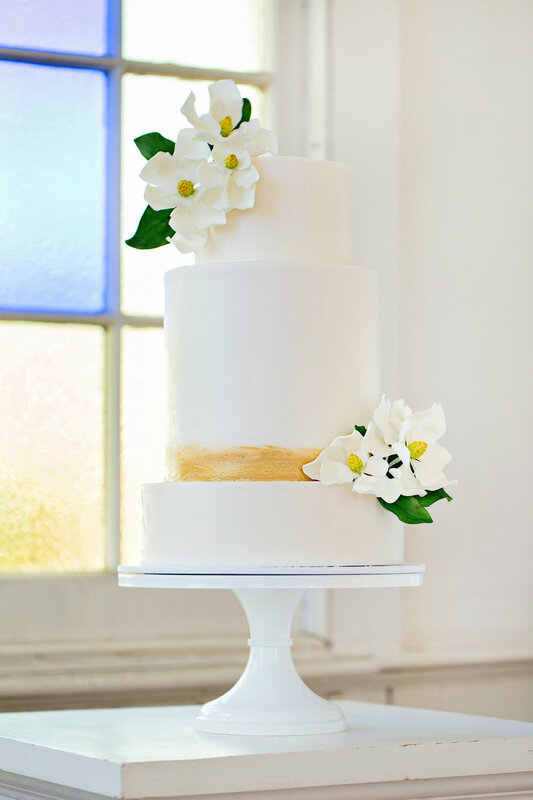 The cake kept with tradition as well but with modern accents. 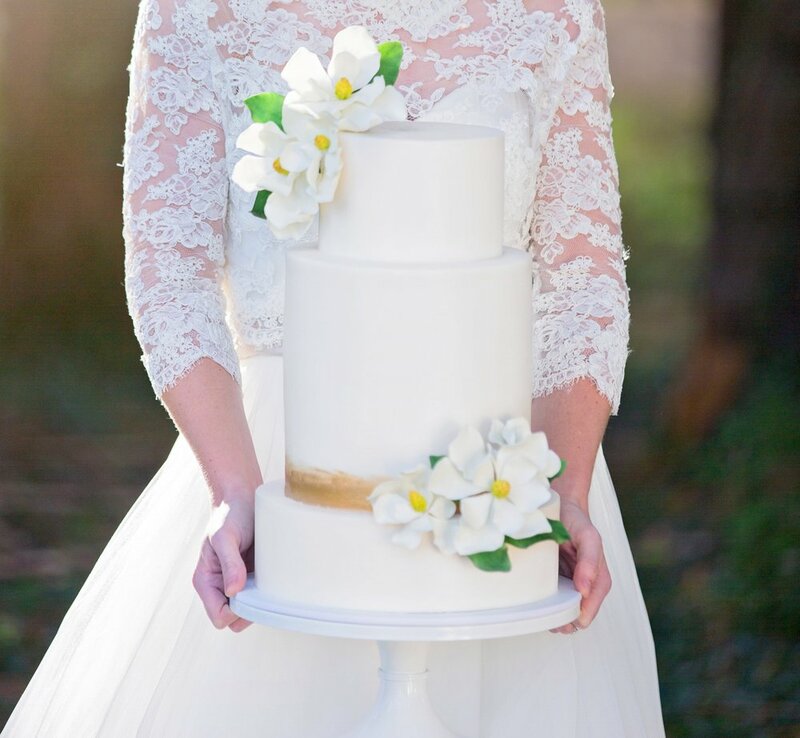 We loved the simple smooth tiers with brushed gold and exquisite sugar Magnolias. 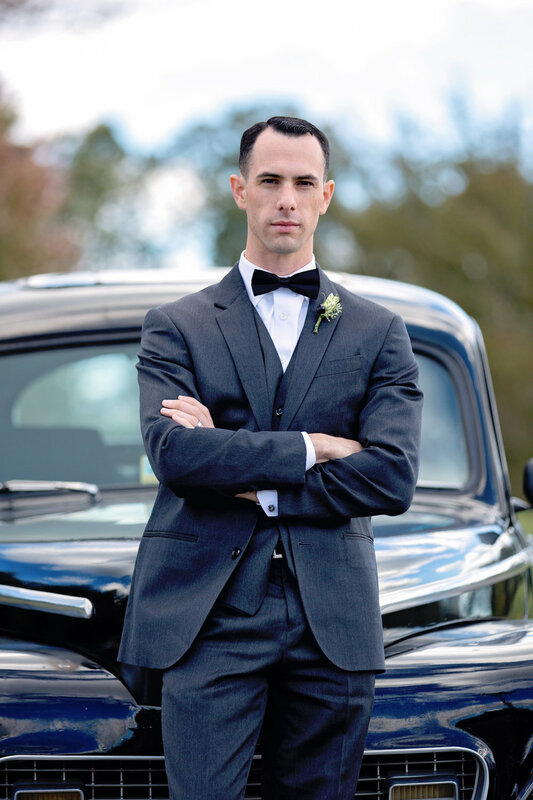 And no classic, romantic wedding would be complete without an antique car. 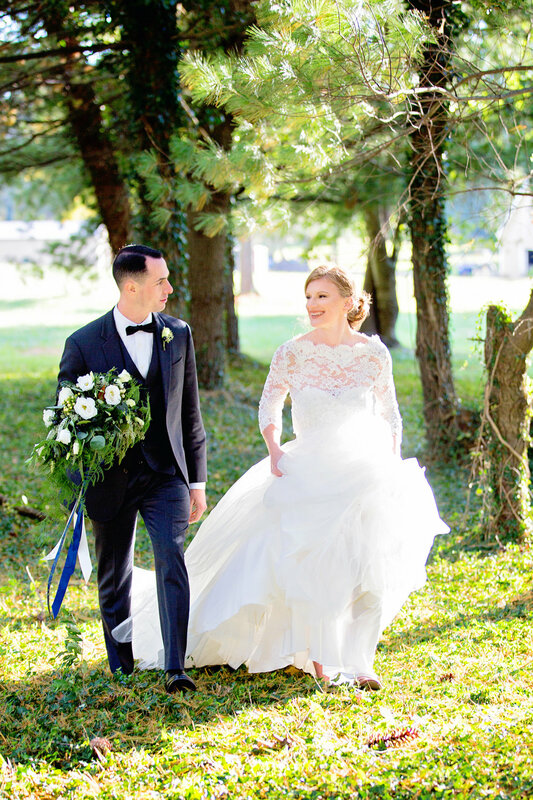 A 1948 Ford happened to be the very first car the driver ever owned; kept, loved and maintained all of these years made us feel like this 'wedding' would last a lifetime.